So what does a well-written Ohio Land Contract look like? What legal language is included? Let’s take a look at the key provisions of a strong sample template. 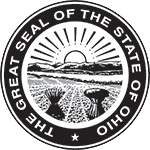 THIS AGREEMENT, made at Somecity, Ohio effective as of the 12th day of January, 2014, is by and between The Joseph Smith Revocable Trust, Dated May 1, 2008, Joseph Smith its Trustee, whose address is 555 East Main Street, Anytown, Ohio, 44444 hereinafter referred to as “Seller”, and Robert B. Jones, a single man, whose address is 850 Broadway Blvd., Anytown, Ohio, 43434, hereinafter referred to as “Buyer”, upon the following terms and conditions. Commencing 618.5 feet East of the Southwest corner of East ½ section, thence North 181 feet, East 150 feet, South 181 feet, West 150 feet to place of beginning. Section 13-9-2. .62 acres. 1. Buyer shall pay to Seller the sum of One Thousand Five Hundred Dollars ($1,500.00) on or before the execution of this Land Contract. Delivery of Deed. When the purchase price and all other amounts to be paid by Buyer pursuant to this contract are fully paid, Seller shall convey the Property to Buyer by Warranty Deed, warranting good and marketable fee simple title to the Property, from the date Seller obtained title to the Property, free and clear of all liens and encumbrances whatsoever, except for the following: Those which have been created or assumed by Buyer; zoning ordinances; legal highways; covenants, restrictions, conditions and easements of record; and the lien of real estate taxes and assessments not then due and payable. There shall be a pro-ration of taxes based upon the terms hereof on the date the Deed is delivered to Buyer. Of course, this is just a sample of the key pieces of a Contract for Deed template; the contract document framework and a number of additional provisions make up a complete Land Contract. Remember that standard accepted contract language and state law can change, which means the template changes, too. CRITICAL TAKE-AWAY: relying on a free Land Contract document found on the internet is not a good idea when hundreds of thousands of dollars are at stake. Why let the success or failure of your real estate transaction hinge on a real estate legal document of unknown origin? Free documents found on the internet can be incomplete, poorly written or legally incorrect just on their face. But even a well-written document from a year or two ago can be outdated when it’s not being maintained by an experienced attorney or legal document company. So don’t be penny wise and pound foolish when it comes to the real estate purchase agreements you use for your seller-financed home sale. complete Land Contract document and financial service.